Copyright © 1998 Balmoral Software (http://www.balmoralsoftware.com). Portions copyright © 1998 Broderbund Software, Inc. and Presto Studios, Inc. All rights reserved. Republication, redistribution or conversion is expressly prohibited without the prior written consent of Balmoral Software. Contents subject to change! For the latest information, see http://www.balmoralsoftware.com. If your gaming equipment is fairly recent, you'll probably really enjoy The Journeyman Project 3: Legacy of Time, the just-released next installment in the game series from Presto Studios, following 1994's The Journeyman Project Turbo and 1995's Buried in Time. This time around, the game designers chucked the old slideshow-style Director interface for a new "spherical virtual reality" engine that allows you to look in all directions from each location. We last saw this impressive interface in the poorly-designed Atlantis: The Lost Tales from Cryo Interactive, and we're happy to say that JP3 suffers from none of the shortcomings of Atlantis. Under Windows 95, there are a few video problems in JP3, and the occasional sudden crash, but these do not seriously detract from enjoyment of this excellent game. JP3 starts out with an extensive introduction, providing full story background for those who haven't played the previous games in the series, and there is a nice tie-in to the final silo sequence from BIT. Much of the live-action talent from the previous games has returned, but the starkly-staring actor portraying your alter-ego Gage Blackwood is new. Generally, the actors (at least the adult ones) are satisfactory, and succeed in furthering a well-written story involving various game quests. An interesting feature that gets you rapidly immersed in the plot is the initial set of three "mini-quests" (all on the first CD-ROM) that serve to familiarize you with the concepts of time travel and introduce you to the main locations of the game. 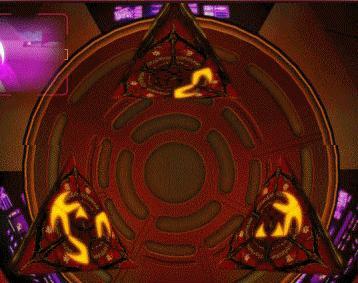 After these mini-quests have been completed, the game becomes quite multi-threaded as you try to complete three independent quests (each on its own CD-ROM) for hidden artifacts. Most of the puzzles of the game are fairly easy ones involving inventory manipulation, but several quests require transferring items between different timezones, as in BIT. For better or worse, there is no spear room puzzle in JP3. One of the improvements in JP3 over its predecessors is the ability to transfer between timezones without losing your location. As you might expect from one of Presto's well-designed games, JP3 can be started up with any of its CD-ROM's loaded (or even none at all). Video sequences are skippable. Due to frequent "one-way" gameplay segments, it's a good idea to save your game often and to look around first before interacting with anything. Saved games are file-based, unlimited and an overwrite warning is provided, but names are listed alphabetically rather than in the reverse-chronological order we would have preferred. Graphics in JP3 are fairly impressive, particularly when experienced through the spherical VR. Most backgrounds are rendered, but close-ups in a few scenes would have benefited from a few more graphic elements; for example, the polygonal coils of rope on the Atlantis dock crane and the blocky coastline in the first Atlantis mini-quest. All in all, however, JP3 is visually striking and quickly gives you the feeling that you're really there. 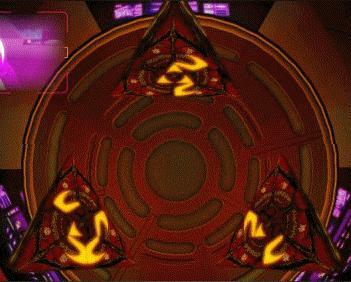 As in its predecessors, all game action in JP3 takes place within a partial-screen display representing a helmet "viewport". Other areas of the screen are reserved for inventory control, appearance selection and your wisecracking AI sidekick, Arthur. Instead of the "biochips" in the previous games, JP3 uses a "chameleon" jumpsuit that allows you to take on the appearance of anyone you meet in the game. As a result, JP3 emphasizes character interaction and dialog, leading to more involvement in the game. Other features adding to immersion in the gameplay are JP3's excellent sound effects, particularly the footsteps that simply have to be the best found anywhere. New textural variations have been added that alter the sounds depending on the surface being travelled. A notable example is the realistic crunching sound when moving over snow-covered paths. Background music is appropriate and unintrusive, but not as notable as in BIT. There were a few sound playback problems, but nothing serious. Innocuous, but extremely well-done little animation sprites (flowing water, smoke, flames, etc.) are found throughout JP3. Small motion pauses and the occasional grunt make it easy to believe you're actually wearing a TSA suit. Unlike in BIT, your character cannot die in JP3. On the other hand, we rather liked the hand-painted death scenes in BIT, even if it did mean we had to restore a previous saved game. If JP3 has a weakness, it must be in its troublesome live-video sequences. There was frequent sprinkling of pixels in video frames, along with general jerkiness and bad lip sync. From a design point of view, we would have preferred aliens created via makeup effects rather than the much less realistic, crudely-animated cyberpuppets that were mixed with live actors in many scenes at TSA headquarters. However, none of these problems prevented enjoyment or involvement in the game, and there was always Arthur to add a little levity to the situation. Here's hoping Presto Studios won't wait so long to make the next Journeyman Project game! The Esc key can be used to skip video segments. Use the spacebar to cycle through available navigation directions, but beware of a disappearing cursor until the mouse is moved again. Also, this method of cycling through hotspots usually skips places where inventory items can be picked up or used. Some of the hotspots for utilizing inventory items may be rather small. Generally, you'll have to capture a person's image before you can talk to them, but this won't cause a problem since your suit's image database is unlimited. This walkthrough contains the minimum information needed to complete the game; many details are omitted and left to be discovered by the player. Only minimum dialog sequences are specified. 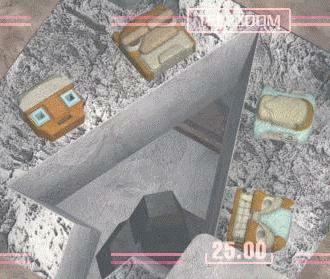 The few incidental animations found in the game, such as turning pottery or churning butter, are not mentioned. After the 7½-minute introduction, follow Daughton's instructions and listen to him describe how you can time-jump. He'll also mention that your captured images are specific to a single timezone. Turn around, climb toward the windmill and click on Agent 3's biosuit. The Arthur AI program will be downloaded to your own suit. Stride forward as far as possible, then look down and pick up a rope ladder. Return to the windmill and enter through the crack in its side. Look up and use the rope ladder to reach the the broken stairs above. Climb the stairs and open the overhead hatch to the upper level of the windmill. Climb the ladder, look down to the left and zoom in on one of Agent 3's time codes. An explanatory video sequence will play showing the previous destruction of Atlantis and you'll return to the spiraling timestream. Use the purple bar at the top of the jumpsuit display to transfer to the next timezone. Look down and move the floating stone away from the wall of the well, then use the rectangular arm to let water into the well. Climb out, turn around and take the winch handle from the top of the well. Move up the path until you come to a fork leading off to the left. Follow the path up the hill and pick up a large crop basket among the debris of the ruined structure. Return back down the hill and turn left toward the setting sun. Enter through the doorway into the balloon landing platform and install the winch handle on the narrow end of the horizontal balloon-tethering arm at left. Turn the crank to bring down the balloon tethered overhead. Attach the crop basket to the ropes dangling from the balloon. Ignore Arthur's noises - hot-air balloons don't hiss! Touch the metal ring in the vertical rope to swing a hook to the other balloon. After transferring to the other balloon, look down and zoom in on another of Agent 3's time codes. Back in the spiraling timestream, use the purple bar at the top of the jumpsuit display to transfer to the next timezone. 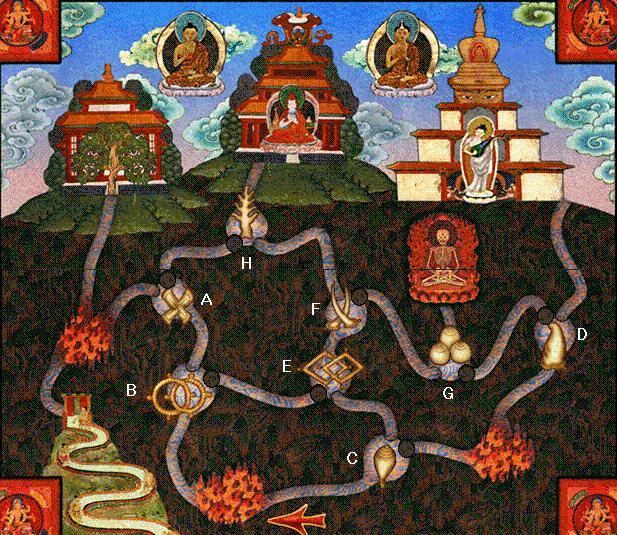 Descend the hillside and pick up a six-armed control wheel and a wooden staff near the corpse of a Tibetan monk. Go back up the hill and enter the ruined structure. Attach the control wheel to the barrel-shaped windlass immediately to your right. Turn the wheel to extend the remains of a drawbridge farther down. Continue down the pile of snow into the building's interior and exit through the doorway under the large wooden cylinder. Proceed to the end of the walkway and climb down the extended drawbridge. Approach the building Arthur identified as a Tibetan monastery and use the wooden staff to pry open one of the windows. Enter the monastery and climb up a golden buddha statue in front of you. Look down and zoom in on the last of Agent 3's time codes, scratched in the snow. After video sequences showing some reversed-kneed Cyrollans, Agent 3 with Eliot Sinclair, and another scene at TSA headquarters, the main game quests (each on a separate CD-ROM) become available. and let Arthur translate the inscription to the right of the mantra, referring to ignorance. Turn right and move forward toward some cud-chewing cyberyaks, then turn left and translate the writing on the base of the green buddha, identifying this statue as the shrine of the animal realm. Turn left and move along the base of the monastery wall until you approach a grated window. This window provides a one-way exit from steam tunnels you'll encounter later, but won't be needed in this walkthrough. Continue along the walls and up a long flight of stairs to the yellow-and-red doors of the monastery's greenhouse. Assume the chameleon guise of the pilgrim, then enter the greenhouse. Climb the ladder leading up to the tree in the center of the greenhouse and pick up a garden knife and tunnel map from the upper platform. Jump to the Andes Mountains timezone. You'll initially arrive in El Dorado at the fork in the path you visited earlier; turn right and move down the path toward the well. Behind the well and an adjacent bush, you'll see a sleeping boy; capture his image for your chameleon jumpsuit. Follow the path back to the balloon platform and ride the balloon ferry across the canyon. Go up the stairs and enter the temple. Inside, look down and open a woven basket to obtain a piece of gold leaf. Study the murals and pictograms on the temple walls, and look up to note an arrowhead-shaped hole in the temple ceiling. Exit the temple, but before descending to the balloon ferry platform, turn right and follow the path around the side of the temple. When you can go forward no farther due to your appearance, turn right and push past some ferns to the backside of the guard's station. Turn left and use the garden knife from Shangri-La to release the balloon tethered there. The guard will be distracted trying to retrieve the balloon; continue to your right along the path into the stone structure. Zoom out and note a similarly-shaped pool on the other side of the temple. Turn around and snuff out the igniter flames with your bare hand. Exit the balloon and return to the temple entrance above the balloon ferry platform. Continue along the path around to the other (overgrown) side of the temple. At the end of the path, turn right and push past some foliage to disclose a hidden pool. Look down and zoom in on a triangular bulge in front of the pool. Place the talisman into the arrowhead-shaped receptacle and the pool will drain. Enter the pool and press one animal head at each of four wall locations, using the pattern seen on the temple roof. A door opens within the steps leading into the pool, but further exploration is impossible due to the flames inside. Climb out of the pool using the steps on either side, then turn around and retrieve the talisman to flood the pool and extinguish the flames. Re-enter the pool and follow the newly-opened passage. At its end, look down and touch the altar to obtain the El Dorado tetrahedron. After a video sequence at TSA headquarters, jump to the Mediterranean Sea timezone. Find the hatch in the roof of the windmill and descend inside. Pick up some gears lying on the floor and put them on the square metal posts on the floor below the opening in the wall. Approach the T-shaped control lever from the left side and use it five times to rotate the windmill until you can exit through the opening (at the correct position, an arrow cursor will appear beneath the left arm of the control lever). Go through the opening and rotate the windmill again by touching the control lever from outside the windmill. Turn right and walk along the top of the wall as far as possible, then turn left and jump down to the crossbar of a loading crane below. Move forward once, then turn to the lower right and climb down the crane. Turn right and operate the crank of the press to obtain a plug of raw clay. Turn around and approach the table across from the large green kiln doors, where there is a well-done sprite of a candle flame. Pick up the bowl and pitcher (a matched set) from the table. Return to the olive-drying area outside the oil vendor's shop and fill the pitcher from a pot of green oil at the water's edge. Select the captain's appearance, then re-enter the oil vendor's shop and zoom in on the large brown-topped oil container at left. Press the raw clay into the temple seal on the front of the container. Return to the potter's shop and open the double doors to the kiln. Move forward, look down and put the piece of clay on the white circular platform. Add the gold leaf from El Dorado. Exit the kiln, turn around and rotate the kiln platform using the spoked wheel on the outside kiln wall. Re-enter the kiln and pick up the gold medallion you've made. Return to the ferryman and request the temple destination. On arrival, don the guise of the olive oil vendor or potter, turn right and move forward. Turn around, talk to the temple guard and give him your medallion. Move toward the ferryman at left and change back into the captain. Talk to the ferryman, then take the ferry through the lock into the temple. Approach a large golden bowl at the end of the walkway. 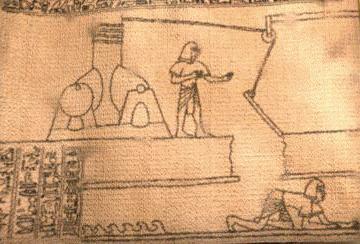 Look up and pull the lever to release some "healing water" from the toroidal reservoir overhead into the golden bowl. Look down and use the bowl in your inventory to take some healing water from the golden bowl. You now have everything needed to complete the rest of the Shangri-La quest. and he gives you a sun disc. Zoom in on the celestial clock in front of you and insert the sun disc between the large main gear and the crank at upper right. Rotate the crank to create an eclipse between the sun and moon levers of the clock. Turn left and climb the stairs ahead of you. Turn around and return to the end of the circular walkway, where you can use the gaff to reopen the water entry door. Pick up the Atlantis tetrahedron carried upward by the column of water. After a video sequence at TSA headquarters, jump back to the Himalayan Mountains timezone. Descend the ladder next to the tree and move to the opposite side of the greenhouse. Access a subterranean chamber through a grate in the greenhouse floor. Turn around and pour the bowl of healing water from Atlantis near the end of the tree roots. Return up the ladder to the greenhouse and climb the ladder to obtain a red fruit from the tree. Give the fruit to the yellow buddha in the back of the greenhouse and pick up a yellow stone. Proceed through the tunnel leading from the roots chamber to the leftmost firepit, then turn left and follow the tunnel to Node A. Look up at the "fanblade" map symbol on the ceiling so Arthur will record the status of tunnel doors on the map. Follow the Exit Tunnel to Node B and switch the door from right to left. Follow the Exit Tunnel through the firepit and on to Node C, where the door should be switched from right to left. Follow the Right Tunnel through the firepit and on to Node D.
Follow the Right Tunnel to a chamber below Genghis Khan's tent. Go up the ladder and quickly get his sword at left (there's nothing else to do here). He'll arrange for you to return to the chamber below. Return down the tunnel to Node D and switch the door from left to right to prevent heat escaping through Khan's tent. Follow the Exit Tunnel through the firepit and on to Node C, where the door should be switched from left to right. Follow the Left Tunnel to Node E.
Follow the Exit Tunnel to Node F and switch the door from right to left to prevent heat escaping into the Library. Follow the Exit Tunnel to Node E and switch the door from right to left. Follow the Right Tunnel to Node B. Follow the Exit Tunnel through the firepit and on to Node C, where the door should be switched from right to left. Afterwards, Arthur reports a rise in temperature. Follow the Exit Tunnel through the firepit and on to Node B. Follow the Right Tunnel to Node E.
Follow the Exit Tunnel to Node F.
Follow the Right Tunnel to Node G.
Follow the Exit Tunnel into the Butter Room. Get a black stone from the melted yak-butter buddha at left. Return through the tunnel to Node G.
Follow the Right Tunnel to Node F and switch the door from left to right. Follow the Left Tunnel to Node H.
Follow the Exit Tunnel through an underground chamber and up into the library. Approach the large blue buddha in the center of the library and present it with the alms bowl from Atlantis, obtaining a blue stone. Pick up a white stone from the buddha. Exit the temple through the anteroom, turn right and approach the Mongol tent in the distance. Capture an image of Genghis Khan sitting in the tent. Move left and present Khan's sword to the red buddha, picking up a red stone in return. After he gives you the Book of Knowledge, exit the library and proceed forward to the edge of the drawbridge. Ring the bell and cross the drawbridge. Turn left and exit the gatehouse. Continue down the stone steps and use the lower footbridge to go back across the ravine to the monastery. Return to the green buddha at right and insert the Book of Knowledge into the slot at lower left, obtaining a green stone. If you explore the opposite balcony inside the gatehouse, you'll discover an unusual disappearing cursor - just a reminder of what the game interface could have been like if Presto Studios had made the same mistakes as Cryo Interactive did with the spherical-VR engine they used in Atlantis: The Lost Tales. Cross the drawbridge and re-enter the temple through the open-air anteroom. Descend the stairs at right to the main floor of the temple. Move around to the back of the central structure and give the white stone to the white buddha. Climb the section of steps that rise from the floor, and turn right. Repeat the procedure for the red, green, black, yellow and blue stones. Climb up the floating lotus-blossom petals, turn right and take the rotating Shangri-La Artifact. Pick up the Shangri-La tetrahedron and you'll jump back to TSA headquarters. On completion of the puzzle, you'll be treated to the endgame sequence involving an ugly Quo'Thalas, some jerky Cyrollans and a final bit of philosophy from the Sosiqui. A follow-up sequence at Sinclair's funeral ties up a few loose ends in the plot. Dunno about that Agent 3, she must have had a good lawyer... And that really is Matt Weinhold as a reincarnated Arthur.